In early 2018, EARN and Commonwealth joined forces to launch Scratch & Save. Every week that they saved at least $5, EARN’s Savers received digital scratcher lottery cards with a chance to win $5. The results of EARN’s first foray into prize-linked saving are promising. At the beginning of Scratch & Save, each Saver received a “free” scratch card. Those who played that initial card were 14% more likely to save in a given week than those who didn’t. In fact, people who saved and played a card in a given week were 30% more likely to save again the following week than those who didn’t. While Savers only needed $5 to be eligible for a scratch card, weekly savings deposits were often higher than $5. 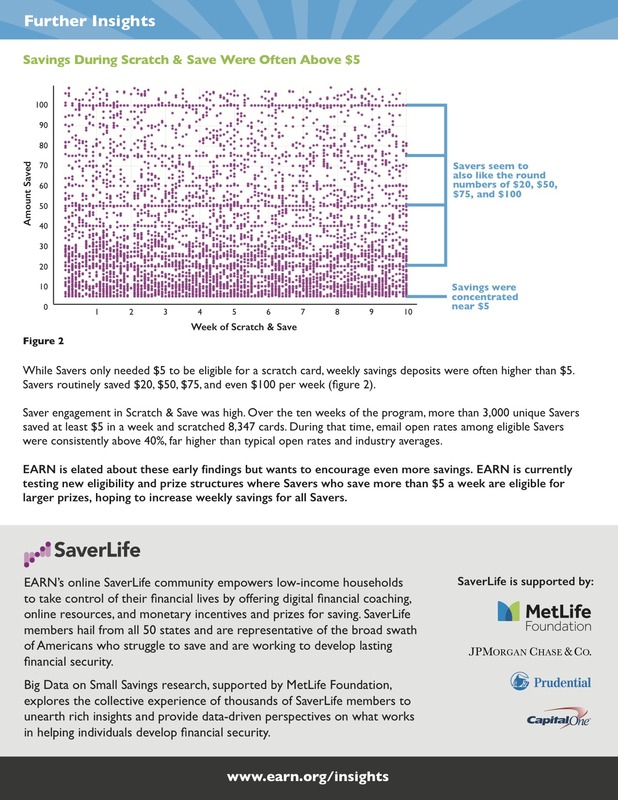 Savers routinely saved $20, $50, $75, and even $100 per week (figure 2). Saver engagement in Scratch & Save was high. Over the ten weeks of the program, more than 3,000 unique Savers saved at least $5 in a week and scratched 8,347 cards. During that time, email open rates among eligible Savers were consistently above 40%, far higher than typical open rates and industry averages. 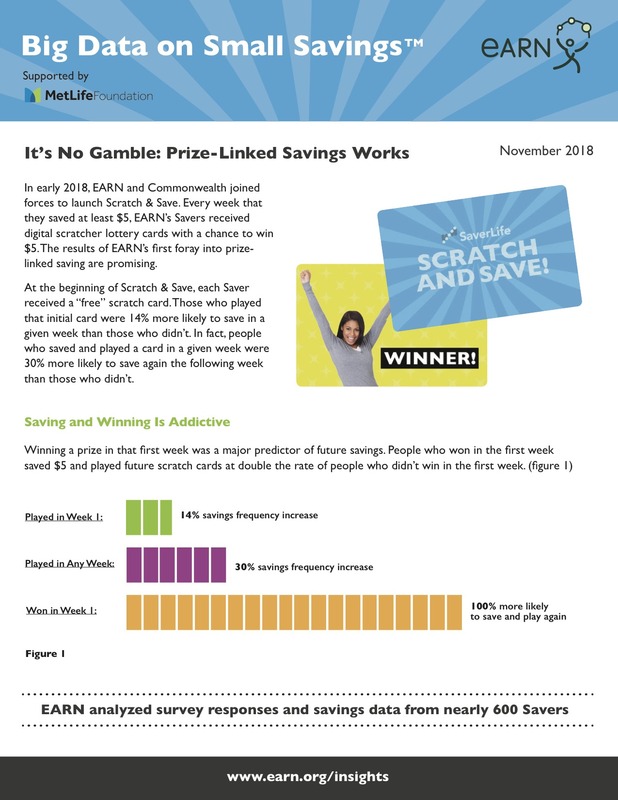 EARN is encouraged by these early findings and is testing new eligibility and prize structures to further boost savings. For example, Savers who save more than $5 per week would be eligible for larger prizes, which would hopefully increase weekly savings for all Savers.